Bankruptcy Court: Halls Of Justice? Bankruptcy Court: Is It Safe To Walk The Halls Alone? As an American, the idea of our court system is closely tied to our idea of Justice. For many this applies only to criminal cases. In reality, our concept of justice applies to our debt and the bankruptcy system. The bankruptcy court is not just available to provide taxpayers their federal right to relief from debt when they qualify. The bankruptcy court system is also tasked to protect the rights of creditors and to insure the citizenry access to efficient processes so as not to tax the coffers of this country. The bankruptcy court is not there when over-reaching creditors offer credit with little to no criteria for qualifying and then harass the consumer into bankruptcy when they can’t pay. Having an attorney present when facing a trustee is invaluable. The trustee’s job is to tap your assets to pay your creditors. Thirty days after you file for bankruptcy, you meet with your trustee. Congress has guaranteed creditors the right to investigate your claim of qualifying for bankruptcy. Congress did not guarantee that your experience meeting with the trustee would not be frightening. He or she will seek out your assets and extract money to pay creditors. Beware to those few that are thinking of walking the halls of justice alone. 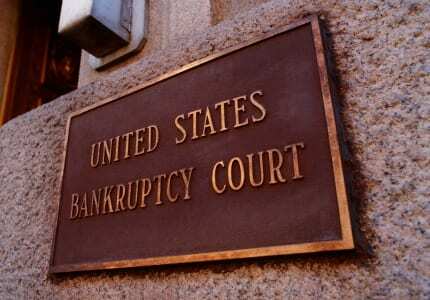 CLICK: FREE BANKRUPTCY CONSULTATION OR TO SPEAK WITH A BANKRUPTCY ATTORNEY.